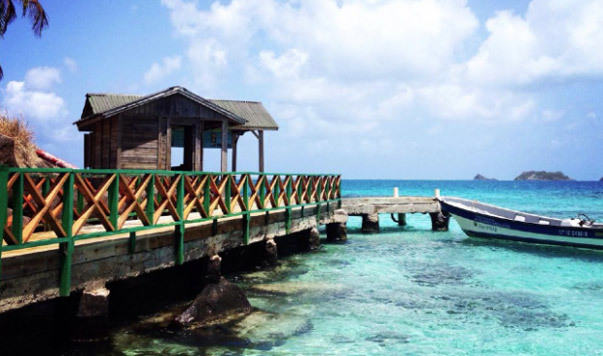 The best Hotels & Resorts in San Andrés | Budget & Luxurious offers! 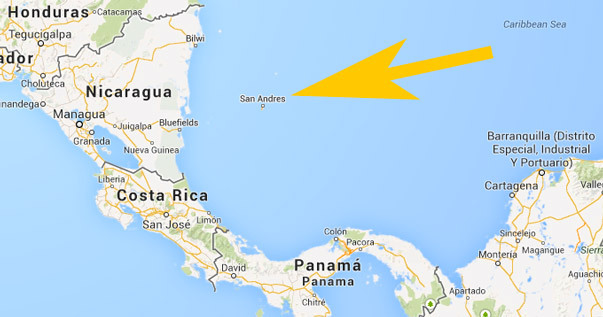 Hotels in San Andrés are found all the way over the island but the majority is located in El Centro, San Luis and La Loma. Booking.com gives indications of around 190 accommodations to stay for the night in San Andrés so you can choose according to your standards. Hotels range from budget 2-3 stars hotels to all-inclusive 4-5 stars hotels on the island. On the island there are only three five star hotels of which two of them are boutiques. These places to stay offer everything you want on your honeymoon or perfect holiday. As the name says the five star hotel offers an all inclusive service, fitness centre, non-motorized water sports, wellness centre, located right on the beach and has an large outdoor swimming pool. The Decameron Hotels is a larger hotel chain that is very successful in Central and South America. Book Decameron Isleño – All Inclusive now! Casa Harb Hotel Boutigue located on the east side of the island this hotel is on the circular road about 10 minutes from El Centro. The elegant Casa Harb Hotel offers perfect facilities to relax. All the rooms are fitted with air conditioning, balcony and free WiFi. The hotel isn’t located on the beach but it is nearby, just take a dip in the beautiful swimming pool. Book Casa Harb Hotel Boutique now! Don’t expect prices to be cheap when you are searching for four-star hotels. But you will get the facilities that queens and movie stars use. Hotel Casablanca is located directly on the beach and offers swimming pools, restaurants and palm tree gardens. Le Castel Blanc Hotel Boutique looks like a huge mansion with features like an outdoor swimming pool, hot tubs, Spa, air-conditioning, rooms with free WiFi and private parking. Book Le Castel Blanc Hotel Boutique now! Hotel Decameron Aquarium All Inclusive is probably one of the most famous hotels on the island. This hotel offers accommodations that are build in circular architectural buildings that offer every room sea view and a balcony. The hotel offers four restaurants and is located on the beach. Book Decameron Aquarium – All Inclusive	now! Three star hotels are scattered around the island. We will sum up the best options for you. GHL hotel Sunrise, this hotel offers huge rooms and free WiFi, it is located near the harbor and offers sea swimming facilities. The best hotel in this class is definitely Hotel Cocoplum Beach. 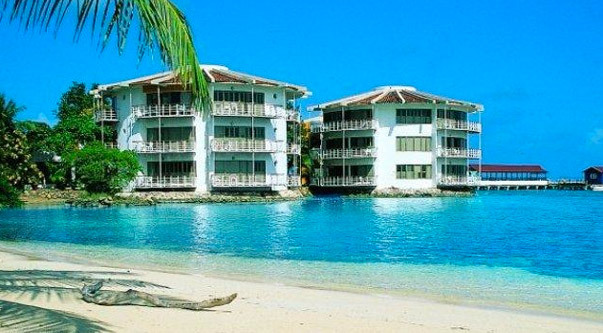 The hotel lies on one of the best beaches of San Andrés. Don’t like the sea just jump in the swimming pool or spa. Book Hotel Cocoplum Beach now! Sunset Hotel is the best alternative for Hotel Cocoplum Beach. The hotel offers a beautiful Spa, swimming pool, free WiFi in every room and Sea views. We will sum up some of the two star hotels that are located in El Centro and tell you a little bit about their facilities. Hotel Tower All Inclusive is a two star all inclusive hotel that offers free WiFi and air-conditioning, the location is in central San Andrés and only a 5 minute walk from the beach. Book Hotel Tower All inclusive now! Hotel Caribbean All Inclusive is located in the shopping area. It is a small hotel that offers an outdoor swimming pool and restaurant. The beach is 5 minutes away by foot. Book Hotel Caribbean All inclusive now! Hotel Coral Flower All Inclusive is probably the best option in the two star price ranges. You are near the beach and shopping center. 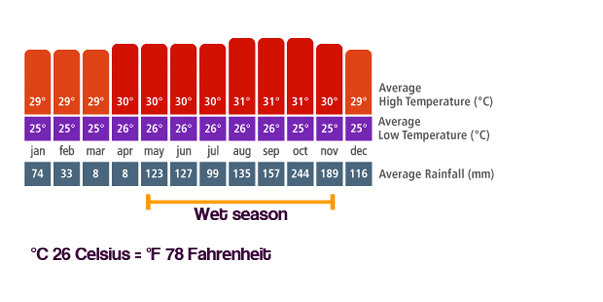 Facilities are outdoor swimming pool, free WiFi and tours. Book Hotel Coral Flower All inclusive now!